Why are we killing Brand Zimbabwe? Zimbabwe used to have one of the strongest economies in Africa. However, foreign investors, multilateral institutions and states have become wary of investing in Zimbabwe which is in its third year of recovery from a decade-long recession sparked by the takeover of white-owned farms. While it is accepted that the land reform programme produced some of the effects it was intended for such as a handful of black-owned successful farms and the increase in small grain production by 163%, for the most part, the initiative was less than successful. Vast tracts of land remain derelict and the production of crops for export such as tobacco, coffee and tea have suffered. Tobacco production decreased by 43% from 2000 to 2009. The main every-day food for Zimbabweans, maize, has been reduced by 31%. The overall effect has been a cut in agricultural productivity which has led to the country’s negative GDP. The land reform programme is now more or less complete with about 300 farmers remaining in the country. The indigenization agenda has since shifted to the mining sector. The first casualty of the new affirmative action policy is the platinum mining industry. 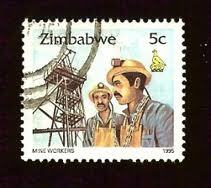 Zimbabwe is the second biggest platinum-producing country in the world. Platinum group metals are mined mainly off the Great Dyke which runs through the centre of Zimbabwe. The biggest platinum-producing mining company in Zimbabwe is Zimplats which is a company incorporated in Guernsey (located in the British Isles) and as such, the main laws governing the corporate operations of the company are the laws of Guernsey. Zimplats is registered as a foreign company in Australia and is listed on the Australian Stock Exchange. All these foreign dimensions to a critical mineral resource held by the country are enough to make any lay Zimbabwean a little uneasy. However, the recent government directive that all public companies must cede a 51 per cent stake to black Zimbabweans is equally unsettling. Zimplats is owned by a South African company, Implats which first invested in Zimbabwe in 2001 when it bought 30 per cent of Zimbabwe Platinum Mines Ltd for the equivalent of $47 million and later took control of the company. It is now the biggest investor in Zimbabwean mining. The government is yet unclear as to how it intends to finance the shares it intends to appropriate. “It’s a very big risk for Zimplats and by extension Impala,” Piet Viljoen, chairman of RE:CM, which manages about 18 billion rand ($2.5 billion) of assets, said in an interview from Cape Town “If the government takes up to 50 percent of the company for no consideration it’s like giving away 50 percent of a valuable asset. It’s entirely possible.” To be fair, no sound corporate governance strategy would hand over shares for no consideration. The request offends common sense yet this may be the fate of many a foreign company. In order to remain a viable economy, Zimbabwe needs foreign investment. Current development thinking criticises mere aid as a vehicle for economic growth. Why then are we chasing away much needed capital investors? While it is accepted that the ownership of resources needs to be equitable, the process adopted to achieve that result is just as important as the result itself. Why deprive 4000 black mineworkers of their jobs in the name of empowering them? Why chase a 10 billion dollar investor away when the economy needs us to court as much investment as possible? Why should such a rich country be so poor? But most important of all, why are we killing Brand Zimbabwe? yep,indigenization is an extension of the land reform,it only seeks to create a smal group of black elite.the people whom it was intended to benefit cn not afford equity.the Act states that an indigenous person is one who before 18 April 1980 wz discriminated against on the grounds of race… etc.these r ordinary zimbos who cn not afford equity. It also seeks 2 scare away much needed foreign investmnt,what zimbabweans wil inherit is the shells after Nestle,Zimplats etc hav stripped their assets & hit the road. Indigenisation shld be a special temporary measure and nt Law.it shld apply temporarily to address economic woes but shld hav a time line.it is also unfair to fix it at 51/49% it shld be applied by merit. Some companies r exercising Corporate Citizenship,and impactng their communities positively. Why take 51% away frm Tongaat Hulett in the Lowveld or Zimplats who hav built schools,hosps,created thousands of jobs,and heavily subsidised the lives of ordinary Zimbos. We need to revisit ths and stop killn brand Zimbabwe.